Over the years, we have done extensive research on hundreds of interior and exterior deck flooring products to find only the very best for our customers. Adhesion and durability, low life-cycle cost, and on-going maintenance support are all important factors of the deck flooring products we recommend and supply to our customers. The “Roofing Approved” Tufdek™ exterior waterproof vinyl decking passed all of our tests and we confidently recommend this decking product to any of our customers in need of an outdoor waterproof floor. This superior deck flooring product can be installed on all outdoor living areas such as roof decks, balconies, sundecks, roof-top patios, walkways, pool decks, above grade concrete slabs, and in many other unique applications. 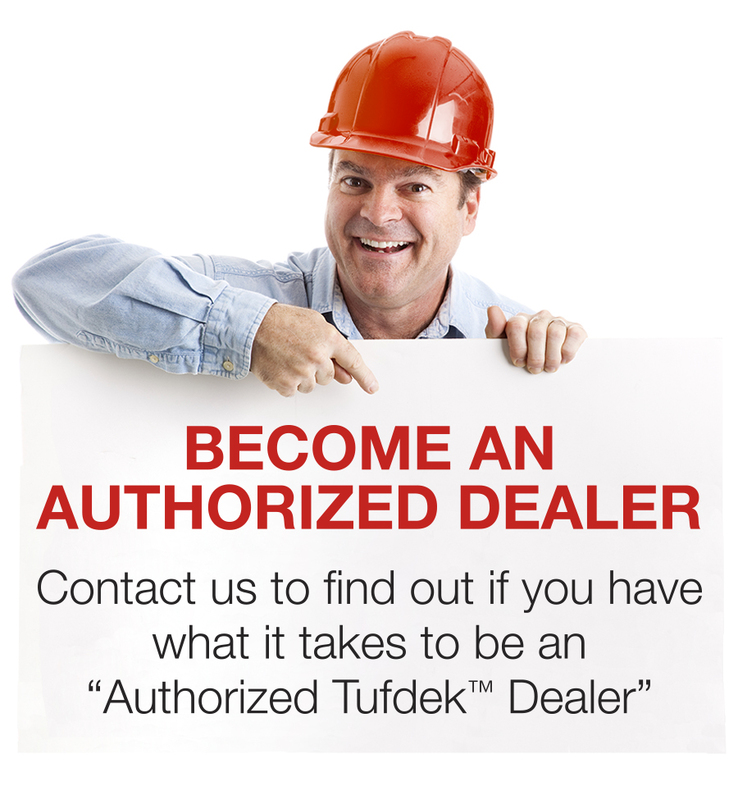 With the industry’s most sought after vinyl deck designs, our Tufdek™ installation services are always in high demand. Our talented team of flooring and decking installers have undergone Tufdek’s™ factory training to learn the proper technique for creating a truly waterproof deck application. And with the most comprehensive warranty in the industry, you will enjoy warranty coverage for both labor and materials. Interested in Tufdek™ vinyl decking for your next commercial or residential project in Northern California? Want to know more about the benefits of our waterproof vinyl decking products? Call our Tufdek office toll free at 1-877-860-9333 or complete the following contact form below, and an authorized Tufdek™ vinyl decking installer in Eureka CA, will be in touch with you shortly.